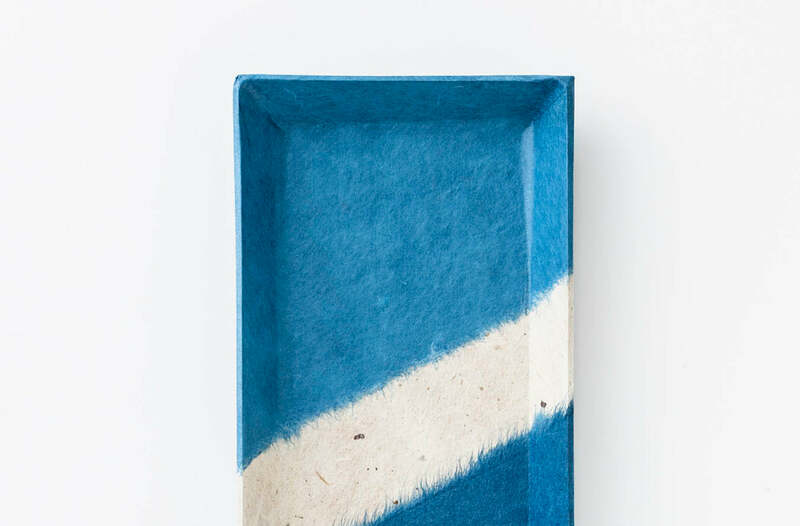 This collaged tray is handmade using a variety of indigo and natural Awagami washi papers. 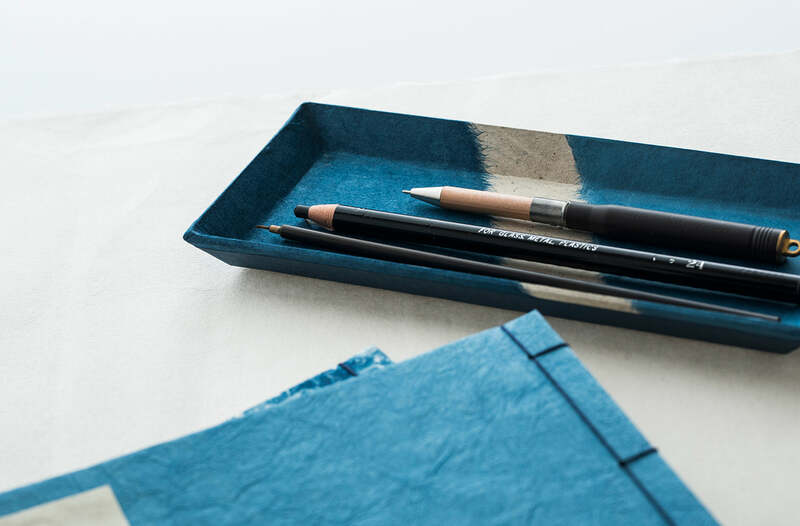 This tray is often used in Japanese restaurants for money / giving change but is also used as a colorful desktop pen or edc tray. Trays are coated for added strength and waterproofing. How will you use it? Dektop tray for your pens, watch, coins, etc….